“If the self-appointed censors of Mark Knight get their way on his Serena Williams cartoon, our new politically correct life will be very dull indeed,” the Herald Sun wrote on its front page. Knight said that he created the cartoon after watching Williams’s “tantrum” unfold during a match against Osaka over the weekend. He said it was to illustrate “her poor behavior on the day, not about race,” The Associated Press reported. In the match, Williams got a warning from chair umpire Carlos Ramos for violating a rule about getting coaching from the sidelines. Williams then yelled at him, saying she didn’t cheat. Sometime later, she smashed her racket in frustration, getting her another warning. She then reacted, demanding an apology from the umpire, who penalized her a game. A number of people criticized Knight’s cartoon as being racist, including Essence magazine editor Vanessa K. De Luca. “I was deeply offended. This is not a joke,” she told the AP. “Political correctness is really all about censoring, it’s about being bullied into conforming to a view of the world,” he said, AP reported. The Women’s Tennis Association and the U.S. Tennis Association both sent out statements supporting Williams during the loss. USTA President Katrina Adams told ESPN that there are “double standards” for how some tennis umpires treat men and women players. “I think there has to be some consistency across the board. These are conversations that will be imposed in the next weeks,” she said. However, Ramos received widespread support from former tennis officials and on Monday, his employer, the International Tennis Federation (ITF). Ramos also confirmed that he will be the umpire during this weekend’s Davis Cup between Croatia and the United States, The Telegraph reported. The ITF’s support showed a growing consensus that Ramos handled the situation impressively under tough circumstances. 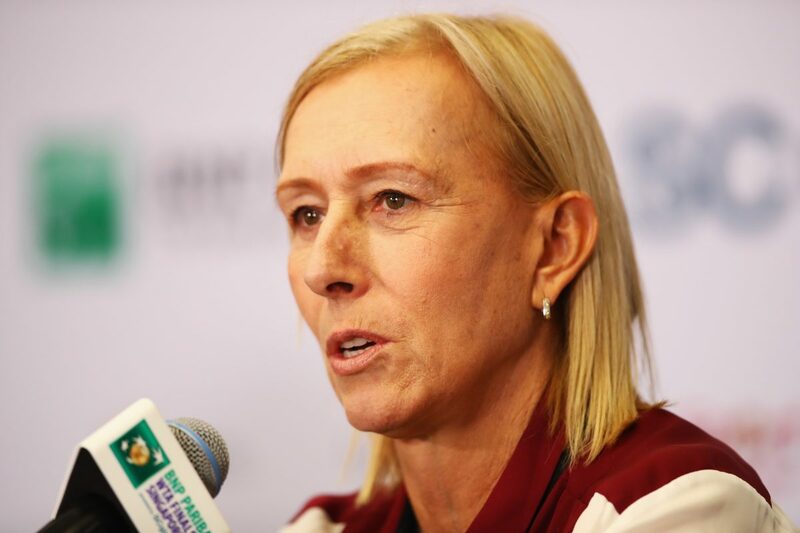 Later, a former champion Martina Navratilova criticized the outburst.